Our Lady of Angels Retirement Home is committed to providing our seniors with excellent services, amenities and opportunities to thrive throughout their senior years. 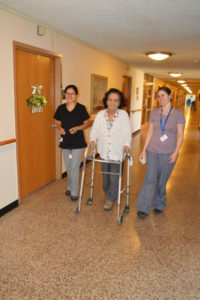 Be a part of a supportive team in a long-term care facility with high staff-to-resident ratios! Our Lady of Angels Retirement Home has full and part-time openings for caring individuals at our facility in Joliet, Illinois.